We always get asked when to add what to a stir fry. So here is a simple little graphic from us to you. Print it off, and pop it in with your recipe book. 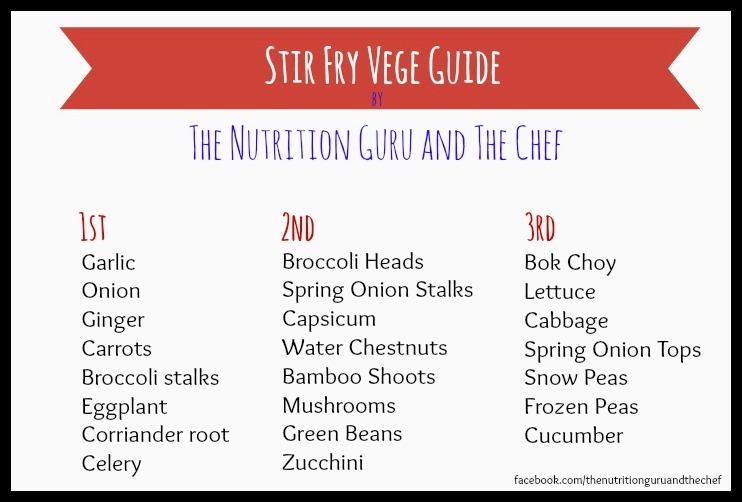 Remember, the more vegetables you add to your stir fry, the more healthy and nutritious the dish is!